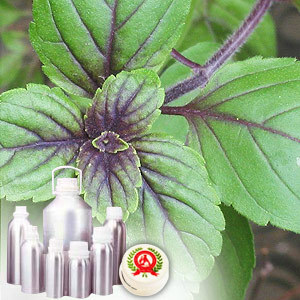 Basil is a sacred plant in India, and used in ayurvedic medicine. 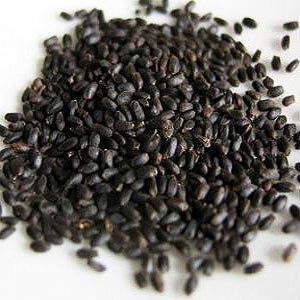 It has been used as a strewing herb to reduce odors, and has many culinary applications. Bergamot, citronella, citrus oils, clary sage, geranium, hyssop, opopanax, rosemary. Benzene ring substituted with a methoxy group and a propenyl group. Antibacterial, antidepressant, antiseptic, antispasmodic, carminative, cephalic, digestive, emmenagogue, expectorant, febrifuge, nervine, stimulant of the adrenal cortex, stomachic, tonic.